The third of Habitat’s Bio-Lumen Series, the Adder. All Vegan! All Skate! Just like the Moray and Vireo it has “Vegan” printed on the insole. 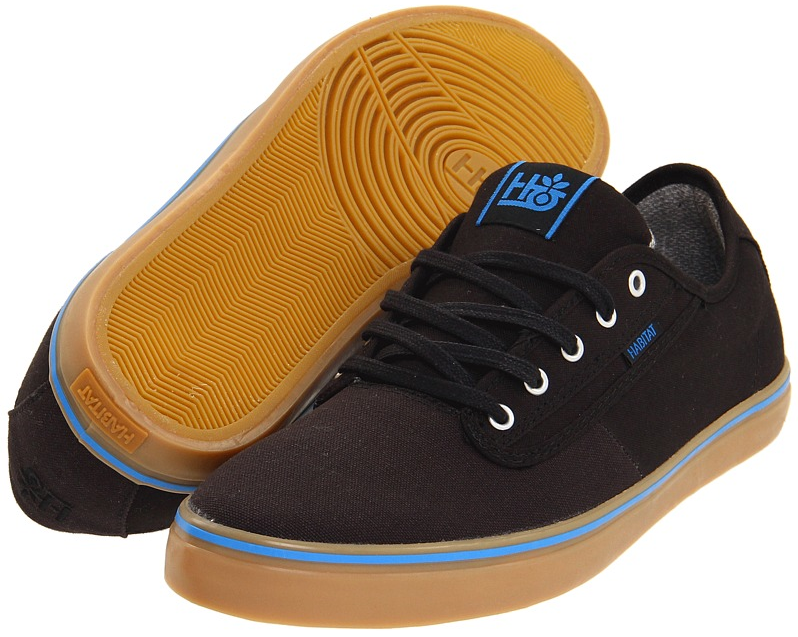 The Adder is a Vulcanized sole, and the Bio-Lumen series all feature Hemp Canvas upper. This one has a noticeably thinner collar but the tongue is still fully cushioned. Definitely the lowest profile in the All Vegan Bio-Lumen series. Get them while they last. Technically they are from Habitat’s Spring 2011 Catalog!